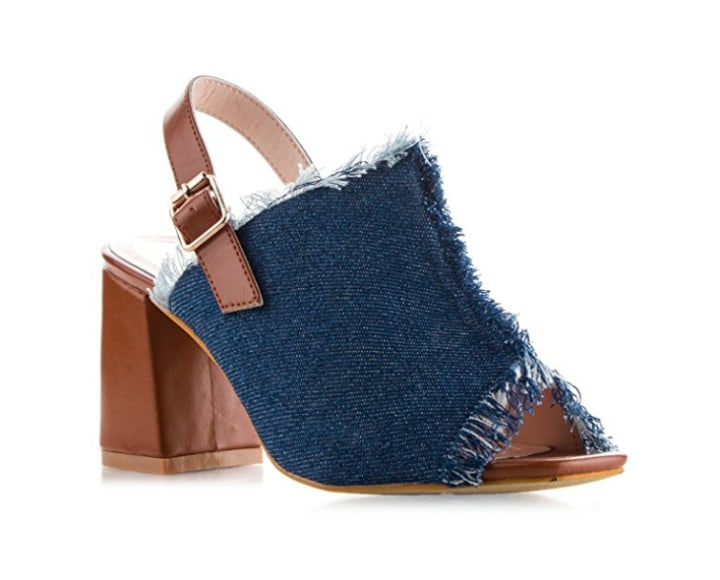 What are mules shoes and how do you wear them? 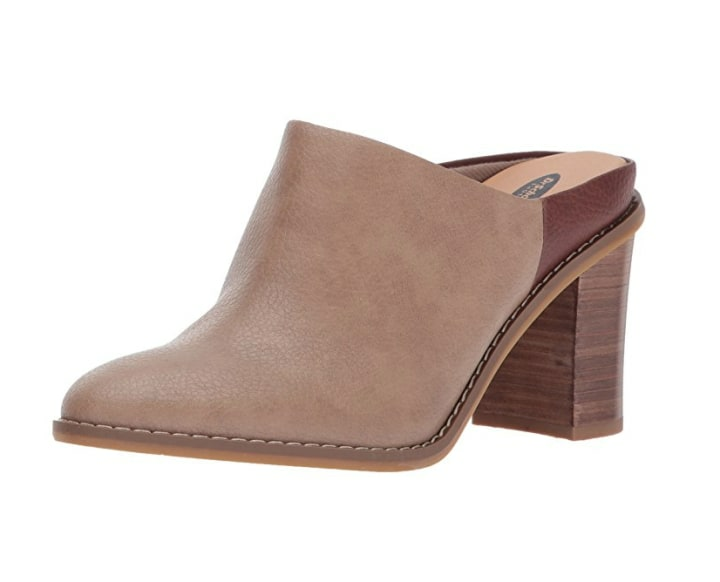 Here's how to wear the classic, trendy mule. Oh, what a winter we've had, full of would-be blizzards and bomb cyclones. But thankfully, spring has arrived at long last, and it's time to show our ankles and our feet (or at least part of them). 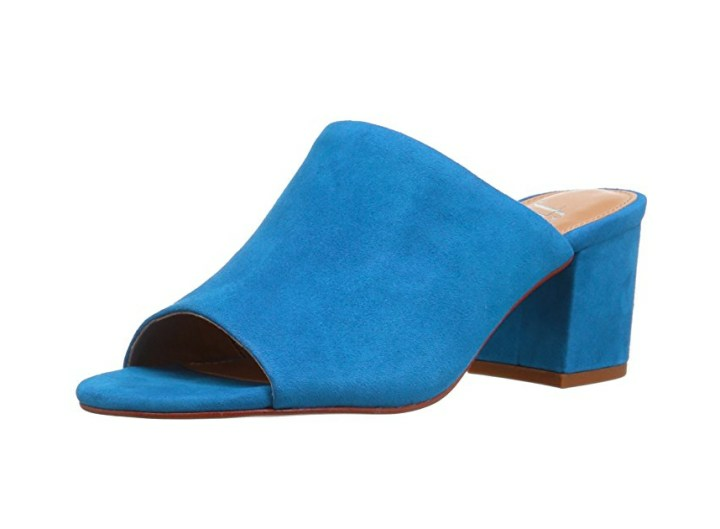 If you're not yet ready for sandal season, or simply prefer a more covered-up shoe option, mules may be right for you. They're closed-toe in the front and open in the back. 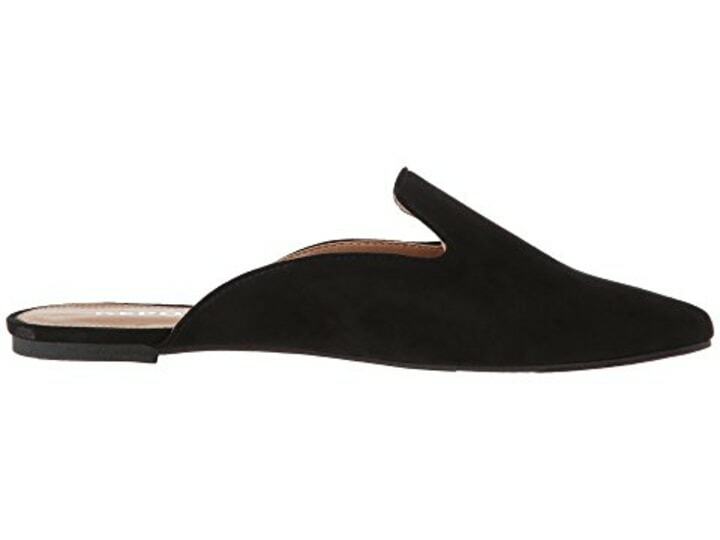 You can pick between espadrilles, kitten heels, or flat and high-heeled versions. 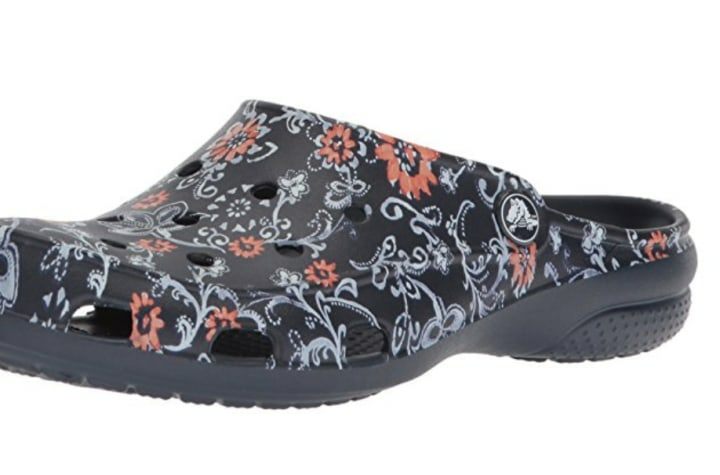 Wear them to work, dinner or even at the beach. Your best bet is pairing them with cropped pants because it creates a sleek silhouette. 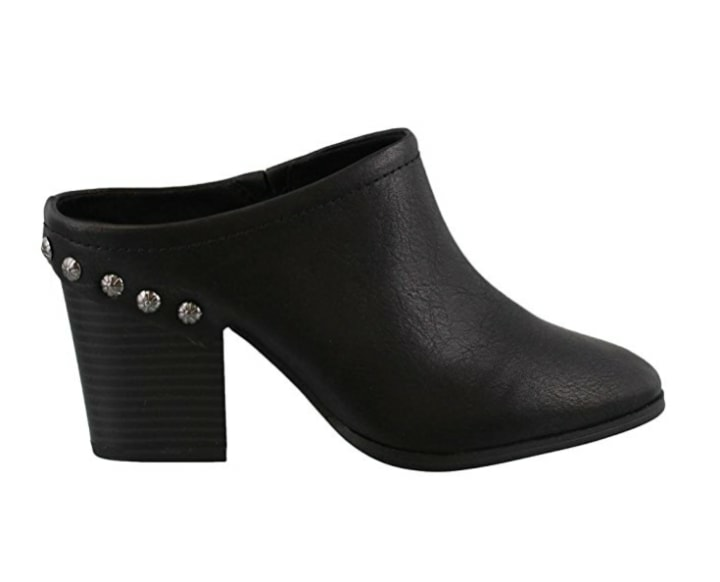 But if you're more of a risk-taker, wear them with midi skirts or dresses. And of course, athletic styles can be easily worn with shorts. We've found a variety of options for all your needs. These are also available on Amazon in black and gold. 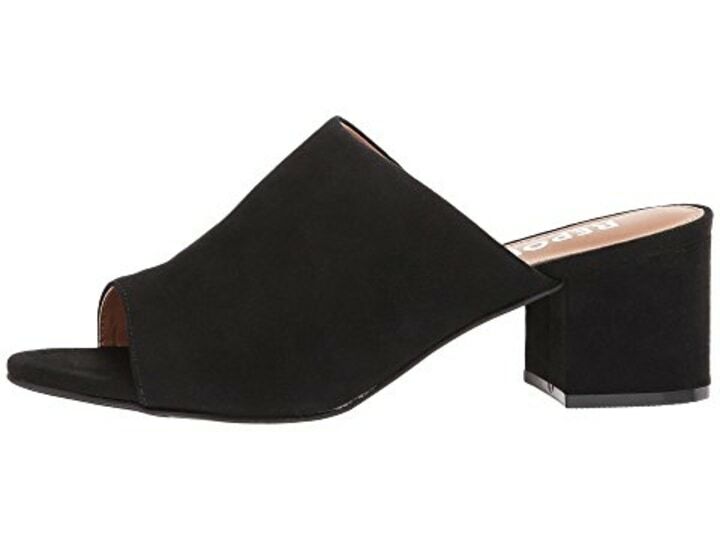 These classic block heel mules are a true throwback to the retro style and work perfectly with everything from jeans to a little black dress. 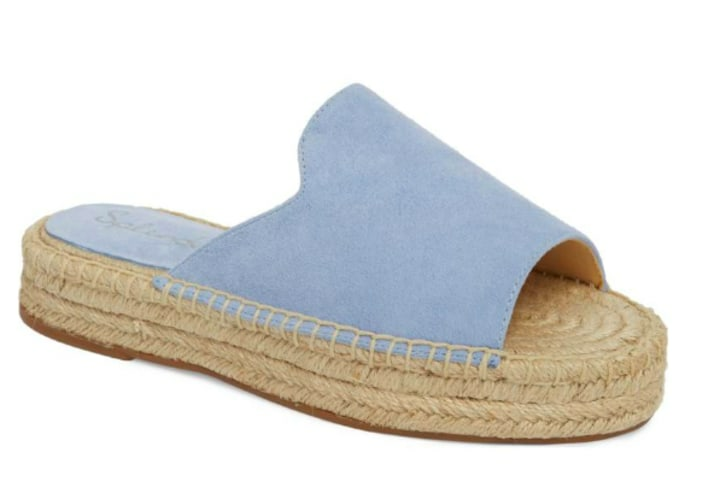 These cheery blue mules from Amazon's The Fix brand also come in white, red and tow patterned versions. 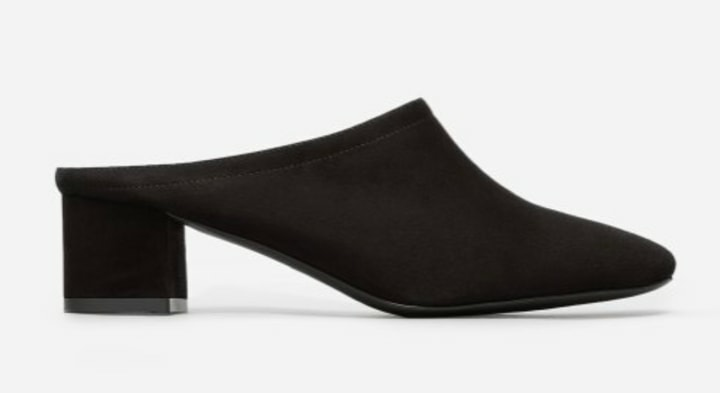 The 2 inch heel is still low enough to be comfortable while looking modern. These are also sold at Amazon for $50 in various colors. The block heels give these shoes a modern touch. 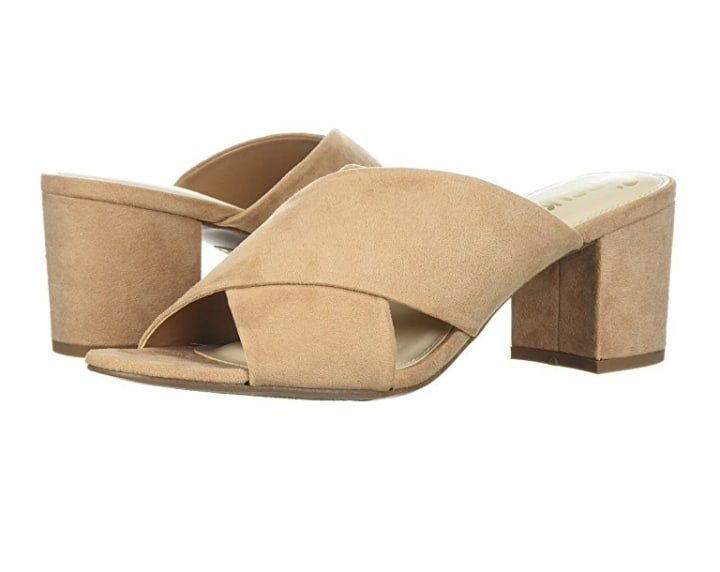 This cross strap sandal is a fun take on the classic mule. Amazon has eight different versions of this style with colors ranging from black stripes to hot pink. With a standard, timeless design, you can wear these shoes ... wait for it ... every day. 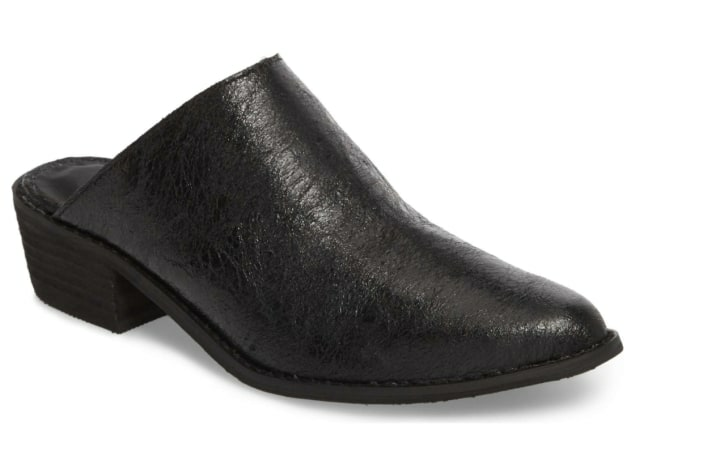 These flat, black mules are a great way to ease into the style. These work perfectly with jeans, work slacks or even a dress and can be dressed up or down as to fit any occasion. These are also available on Zappos for $56 and Amazon starting at $56. 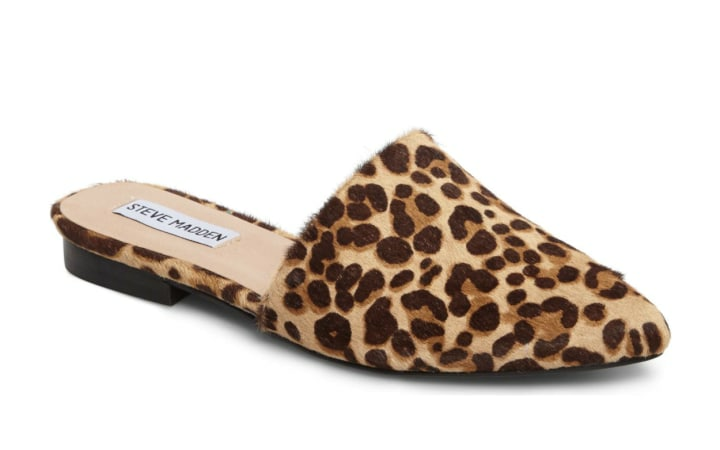 These suede leopard-print mules are a must-have this season. These scream summer and the platform heel gives them extra oomph. 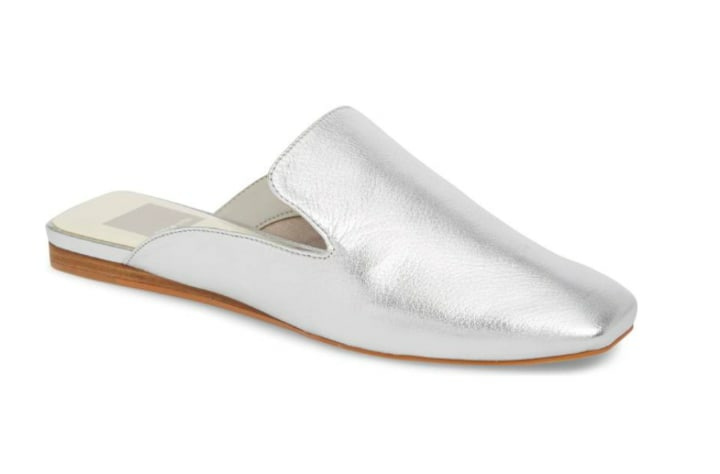 To get a similar look for less, this pair from Zappos ($49) has a buckle and metallic finish for a little extra flair. 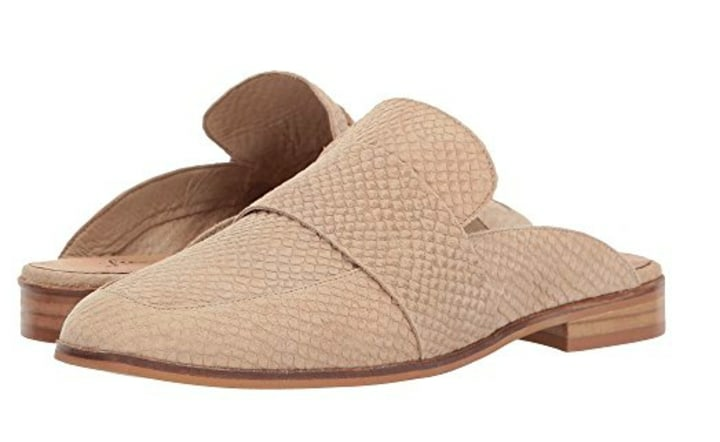 These are also available on Nordstrom Rack for $26. These sultry sandals go perfectly with any beachy dress in your closet. 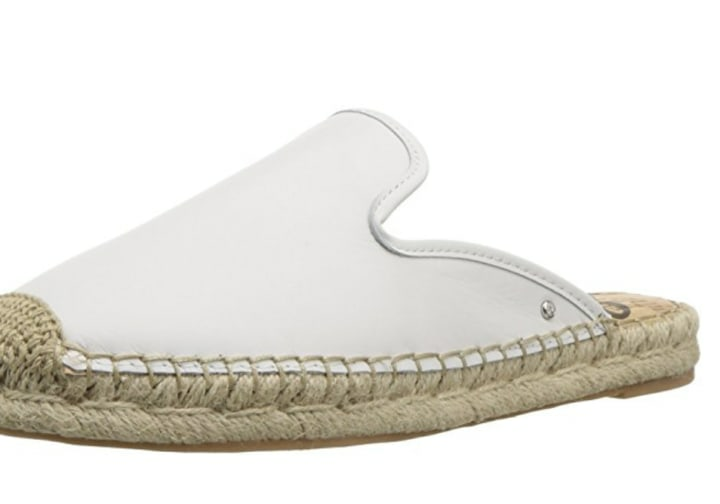 If platforms aren't your thing, try these classic flat espadrille slides. These mules in leopard are sold at Zappos for $90 and in metallic for $78. This style is sleek and has a perfect metallic hue for spring. And we love the squared-off toe. 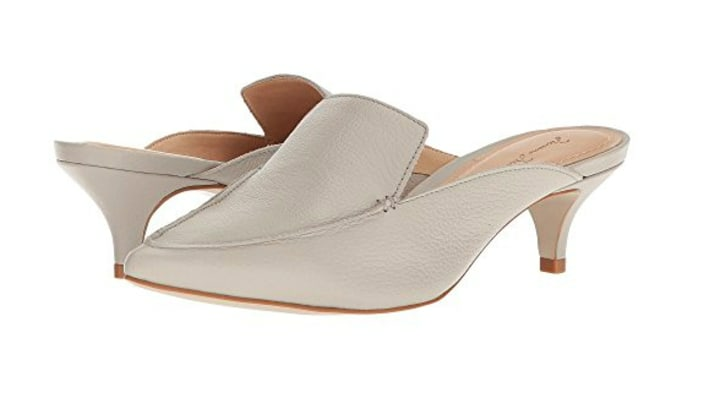 These are on super sale at ASOS for $54 and Lord & Taylor for $49 (in three colors) right now! You can also buy them in beige on Amazon for $98. We're suckers for this shoe's reptile-embossed leather style. Amazon sells these in several colors starting at $88. 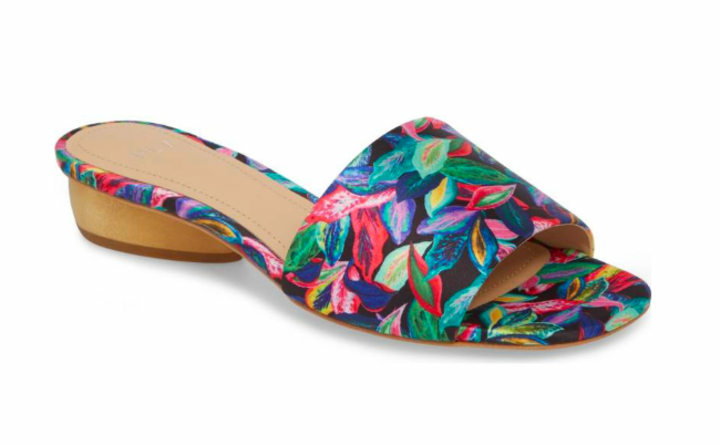 Pair these with a summer dress or capri pants for a splash of color. These funky denim slides bring attitude to any outfit, at an affordable price. These shoes are both chic and functional, and with the Dr. Scholl's brand you know you're going to get something that's comfortable as ever. These are also available on Amazon for $85. What makes these stand out? The 2-inch kitten heel, and the understated color that goes with anything — especially a pencil skirt.